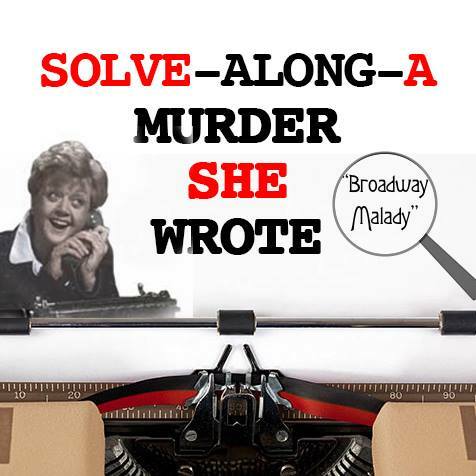 Pit your wits against JB Fletcher at Solve-along-a-Murder-She-Wrote: an interactive screening of an episode of Murder, She Wrote! Hosted by super-fan Tim Benzie, the night features games, prizes and audience participation, with special permission from NBC Universal Television. Tim Benzie is delighted to be returning to Bristol with the fabulous London-based episode “Sing a Song of Murder”! – A singalong to the theme tune with new lyrics! – A Cabot Cove quiz and raffle! – Clips and biogs of the campy guest stars! Solve-Along-A-Murder-She-Wrote celebrates all things 80s television mysteries had to offer – contrived scenarios! No DNA evidence! Massive hair! Has-been guest stars! And of course taking centre stage is film and Broadway star Angela Lansbury as novelist/detective JB Fletcher. Can you solve the crime before Cabot Cove’s best amateur sleuth? Next Next post: Cabaret Cruise Presents SUPRISE SURPRISE! !